Greetings from the UK. 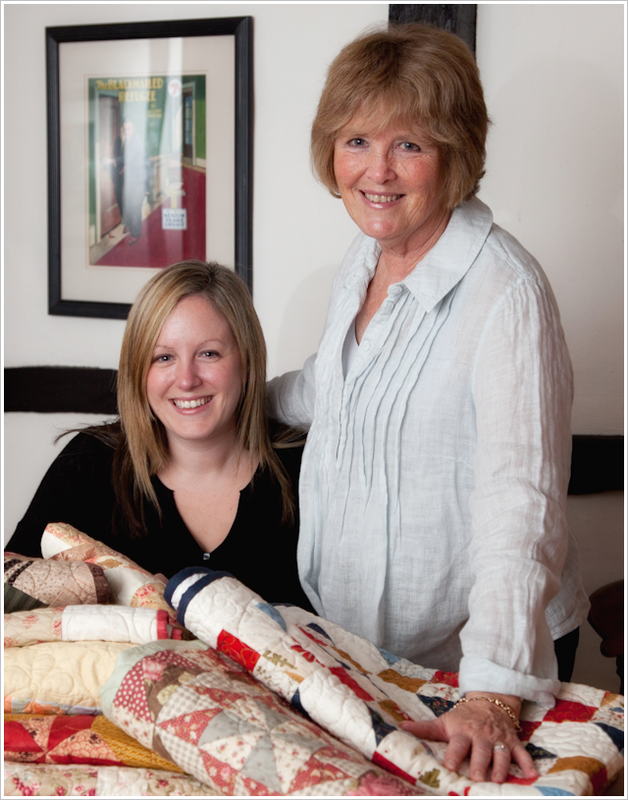 It’s Pam and Nicky Lintott here of The Quilt Room and we are going to make sure you know of one of Moda’s best kept secrets… sshhhh – you never know who is listening! Having written eight best selling books on jelly rolls, we didn’t think we could love anything as much. You know once you fall in love with something it is difficult to imagine you could love anything else. And we do just love those 2½in strips – we have spent more hours than we care to think about spreading them out, stroking the fabric and deciding what we are going to do with them. And then along came DESSERT ROLLS – twenty 5in strips – only half the number of strips but twice the width of the jelly roll strip. WOW! Having that extra width to play with we found we could come up with even more exciting designs – designs that we just couldn’t achieve with the jelly roll strips. Our book Dessert Roll Quilts contains twelve exciting new quilts made using this new pre-cut from Moda. Here is just one of the patterns from our book. This is Hen Party where we have used a French General range to create our selection of hens. My hens lay lots of lovely eggs throughout the year but I would be the first to admit that they are rather ordinary looking – just brown, brown and brown! I think they would be very proud to be depicted in the gorgeous colouring of Chateau Rouge. Now we all know that when making quilts there is nothing better than having something sweet to nibble on. 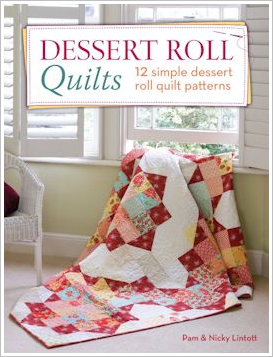 We therefore decided to feature dessert recipes to suit all the quilts in the book. You can treat yourself to English scones while making the Afternoon Tea quilt or how about some spicy Tea Bread when making the Sugar ‘n’ Spice quilt. We hope this will inspire you to try these gorgeous bundles of Dessert Rolls. You might just find you love them as much as we do. Previous Previous post: Where in the World are ALL the Quilt Shops? Next Next post: What’s on Your Quilting Bucket List? I love the Jelly Roll books, always clear directions and beautiful results. I’m excited about this new book, thanks. How wonderful, a dessert roll book too! Adore the chicken quilt! I love the quilt on the cover. Beautiful. Want the book … now! 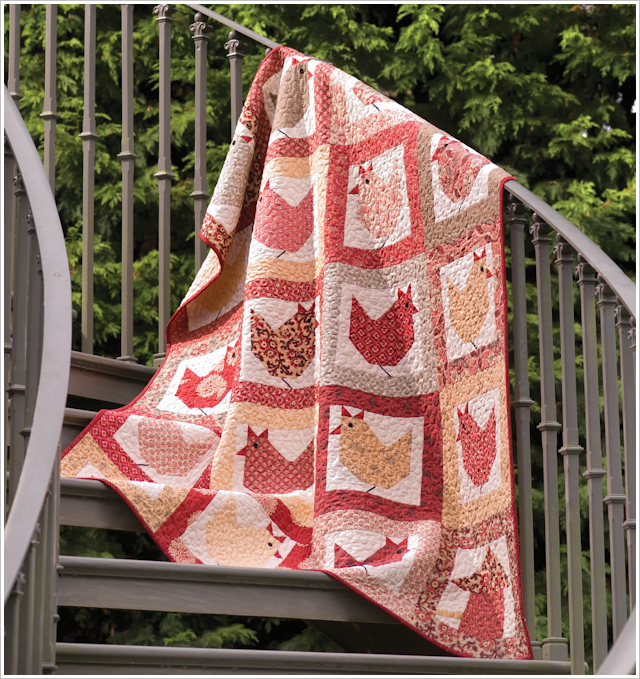 Absolutely love the chicken quilt and will definitely be making it as soon as I get the book. Great job!! As a owner of 20 hens myself, that Hen Party is my favorite and worth the price of the book. Thank you for sharing. Now I know I have to have that book! I love the chicken quilt. Way to cute.